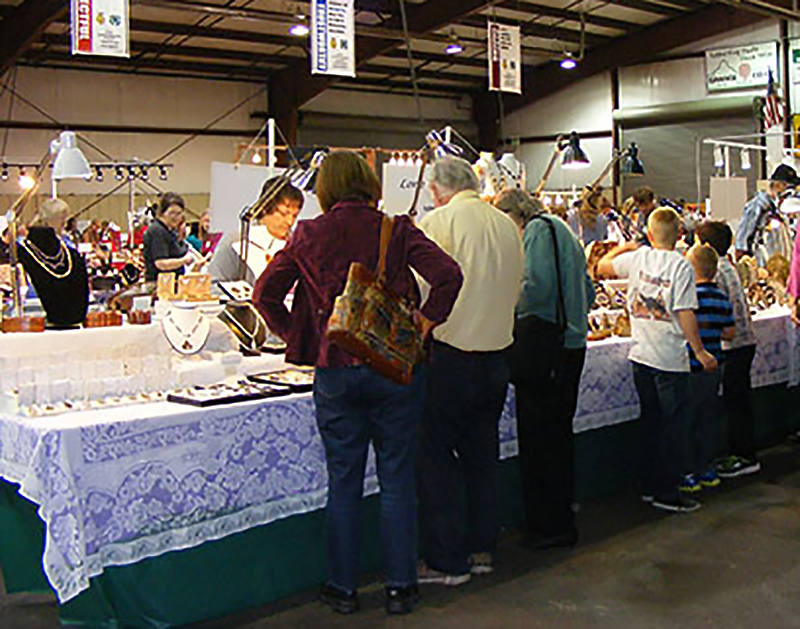 It’s the 64TH annual Roxy Ann Gem and Mineral Show! There will be a wide variety of vendors selling everything from jewelry down to rough rock slabs ready for lapidary and everything in between! Take home that crystal you’ve always dreamed about. There will be so much to do! A chance to win door prizes, silent auctions, raffles, thunder-egg putting games, and soapstone carving and much, much more! Check out our member display cases and vote for your favorite display! 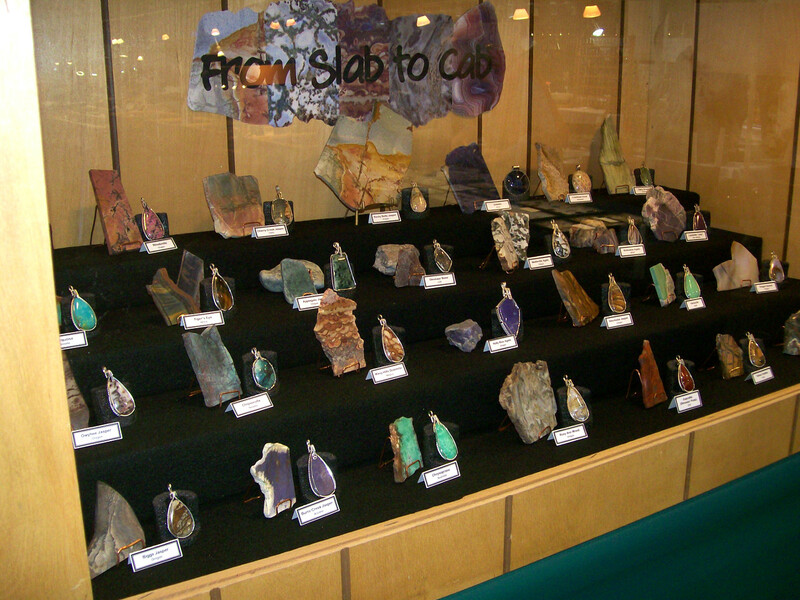 View the fluorescent mineral display, and see our dinner table set with tasty looking food all made of stone! Get your rocks identified by a geologist and your gems by a Graduate Gemologist! Check out the wire wrapping and lapidary demonstrations by our members! Be inspired! There will also be a public auction of deaccessioned museum pieces Saturday evening starting at 5:30 pm. Don’t miss it! Click here to view the auction items (pdf). 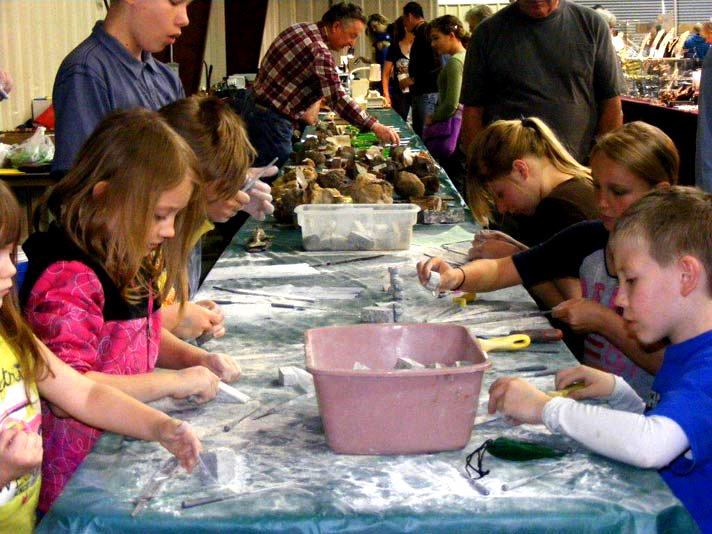 Roxy Ann Gem & Mineral Society runs the Crater Rock Museum and is a non-profit organization whose mission is to educate and enlighten people of all ages in the study of earth sciences, geology, lapidary, mineralogy, natural history, and paleontology.